I’ve been in touch with a really interesting bloke called Richard Altman. He’s what I’d call a Digital Activist – in that his strongly opinionated views challenge normative behaviour, and have the potential to cause others to reconsider that which we take for granted. His area of interest: the Web and it’s governance. I’ll be sharing some of his thoughts in an upcoming post, but for today, we’ll be exploring some of his filmmaking work. Altman and I share a passion for the work of Marshall McLuhan, and he’s made a short series of thought-provoking films that assess many of his ideas: a perfect jumping off point for those not yet acquainted with the great man. Be forewarned: these videos aren’t exactly lean-back viewing. Altman has developed a unique presentation style that fuses blazing imagery, dubbed-audio and staccato editing into what would be described as an audiovisual bricolage. The effect of watching each video is quite close to McLuhan’s own ‘braindump’ writing style, in which he didn’t expound mere theories, but developed probes – aphorisms designed to to stimulate curiosity about one’s subject or environment. This allowed McLuhan, as it does for Altman, to be far less committal in the work presented, yet to encourage the reader/viewer to make up their own mind about what they’ve just experienced. I have an interview with Richard scheduled for publication, so check back in the next few days to read an explanation of the themes and ideas herein, that is, if you’re still left scratching your head! There is a new mental condition to look out for, people. Try this self-diagnosis and let me know how you did in the comments below. In their book, TechnoStress: Coping With Technology @WORK @HOME @PLAY (available here), Michelle M. Weil, Ph.D. and Larry D. Rosen, Ph.D. assert that the growing dependence on technology affects us negatively. People allow themselves to be sucked into this technological abyss, and in doing so they become more machine-oriented and less sensitive to their own needs and the needs of others. Some people become so immersed in technology that they risk losing their own identity. That’s Technosis, a condition whose victims develop an attachment to technology. It grows slowly, but before patients know it, they have lost sight of where they end and technology begins. Symptoms of Technosis include overdoing work and never feeling finished, believing faster is better, and not knowing how to function successfully without technology. It’s now a peer-reviewed clinical condition, and almost everyone I know suffers from it – probably you, dear reader, too. So that’s it, my series is over. All that’s left to do now is credit the academic sources that influenced and aided in the construction of my argument. Thanks to everyone below, and thanks to you, dear reader, for coming along for the ride. Baudrillard, Jean (1983). Simulations. New York: Semiotext(e). Baudrillard, Jean (1988). Selected Writings, ed. Mark Poster. Cambridge: Polity Press. Benjamin, Walter (1968). ‘The Work of Art in the Age of Mechanical Reproduction’, in Walter Benjamin Illuminations (trans. Harry Zohn), pp. 217–51. New York: Schocken Books. Bolter, J. D., B. Mcintyre, M. Gandy, Schweitzer, P. (2006). ‘New Media and the Permanent Crisis of Aura’ in Convergence: The International Journal of Research into New Media Technologies, Vol. 12 (1): 21-39. Botella, Cristina.M, & M.C. Juan, R.M. Banos, M. Alcaniz, V. Guillen, B. Rey (2005). ‘Mixing Realities? An Application of Augmented Reality for the Treatment of Cockroach Phobia’ in CyberPsychology & Behaviour, Vol. 8 (2): 162-171. Clark, N. ‘The Recursive Generation of the Cyberbody’ in Featherstone, M. & Burrows, R. (1995) Cyberspace/Cyberbodies/Cyberpunk, London: Sage. Featherstone, Mike. & Burrows, Roger eds. (1995). Cyberspace/ Cyberbodies/ Cyberpunk: Cultures of Technological Embodiment. London: Sage. Genosko, Gary (1999). McLuhan and Baudrillard: The Masters of Implosion. London: Routledge. Kline, Stephen, DePeuter, Grieg, & Dyer-Witheforde, Nick (2003). Digital Play: The Interaction of Technology, Culture, and Marketing. Kingston & Montreal: McGill-Queen’s University Press. Levinson, Paul (1999). Digital McLuhan: a guide to the information millennium. London: Routledge. Liarokapis, Fotis (2006). ‘An Exploration from Virtual to Augmented Reality Gaming’ in Simulation Gaming, Vol. 37 (4): 507-533. Manovich, Lev (2006). ‘The Poetics of Augmented Space’ in Visual Communication, Vol. 5 (2): 219-240. McLuhan, Marshall (1962). The Gutenberg galaxy: The Making of Typographic Man. Toronto, Canada: University of Toronto Press. McLuhan, Marshall (1964). Understanding Media: The Extensions of Man. New York: McGraw-Hill. McLuhan, Marshall and Powers, Bruce R. (1989). The Global Village: Transformations in World Life in the 21st Century. Oxford University Press: New York. Milgram, Paul & Kishino, Fumio (1994). ‘A Taxonomy of Mixed Reality Visual Displays’ in IEICE Transactions on Information Systems, Vol. E77-D, No.12 December 1994. Reitmayr, Gerhard & Schmalstieg, Dieter (2001). Mobile Collaborative Augmented Reality. Proceedings of the IEEE 2001 International Symposium on Augmented Reality, 114–123. Roberts, G., A. Evans, A. Dodson, B. Denby, S. Cooper, R. Hollands (2002) ‘Application Challenge: Look Beneath the Surface with Augmented Reality’ in GPS World, (UK, Feb. 2002): 14-20. Straubhaar, Joseph D. & LaRose, Robert (2005). Media Now: Understanding Media, Culture, and Technology. Belmont, CA: Wadsworth. Thomas, B., Close. B., Donoghue, J., Squires, J., De Bondi, I’,. Morris, M., and Piekarski, W. ‘ARQuake: An outdoor/indoor augmented reality first-person application’ in Proceedings of the Fourth International Symposium on Wearable Computers, (Atlanta, GA, Oct. 2000), 139-141. Wagner, D., Pintaric, T., Ledermann, F., & Schmalstieg, D. (2005). ‘Towards massively multi-user augmented reality on handheld devices’. In Proc. 3rd Int’l Conference on Pervasive Computing, Munich, Germany. Weiser, M. (1991) ‘The Computer for the Twenty-First Century’ in Scientific American 265(3), September: 94–104. Bolter, Jay D. & Grusin, Richard (1999). Remediation: Understanding New Media. Cambridge, MA: MIT Press. Cavell, Richard (2002). McLuhan in Space: a Cultural Geography. Toronto: University of Toronto Press. Galloway, Alexander R. (2006). Gaming: Essays on Algorithmic Culture. Minneapolis: University of Minnesota Press. Horrocks, Christopher (2000). Marshall McLuhan & Virtuality. Cambridge: Icon Books. Jennings, Pamela (2001). ‘The Poetics of Engagement’ in Convergence: The International Journal of Research into New Media Technologies, Vol. 7 (2): 103-111. Lauria, Rita (2001). ‘In Love with our Technology: Virtual Reality A Brief Intellectual History of the Idea of Virtuality and the Emergence of a Media Environment’ in Convergence: The International Journal of Research into New Media Technologies, Vol. 7 (4): 30-51. Lonsway, Brian (2002). ‘Testing the Space of the Virtual’ in Convergence: The International Journal of Research into New Media Technologies, Vol. 8 (3): 61-77. Moos, Michel A. (1997). 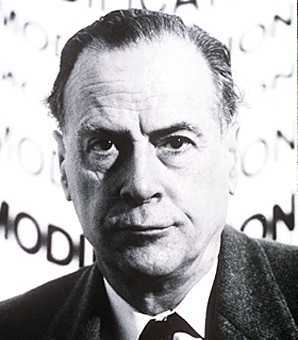 Marshall McLuhan Essays: Media Research, technology, art, communication. London: Overseas Publishers Association. Pacey, Arnold (1983). The Culture of Technology. Oxford: Basil Blackwell. Salen, Katie & Zimmerman, Eric. (2004) Rules of Play: Game Design Fundamentals. Cambridge, MA: MIT. Sassower, Raphael (1995). Cultural Collisions: Postmodern Technoscience. London: Routledge. Wood, John ed. (1998). The Virtual Embodied: Presence/Practice/Technology. London: Routledge. I set out to assess the implications of a wholly new medium, one which had received little academic attention written from a media theoretical perspective. I made clear use of an industry connection to gain inside knowledge of the developments occurring to bring this medium to the mainstream. Building a methodology that could sustain the level of analysis that I hoped to achieve, I observed the interactions between technology and industry, market forces and cultural influences. Having positioned my subject at the crest of a curling wave, I employed critical media theory to explore the potential implications of my subject in its wider context of social reality. This ambitious task has granted me insight into how the complex interactions of various fields give rise to social change. Along the way I have revealed seams rich in potential for further analysis. McLuhan is proven to apply to yet another medium, the perspective he offers served my analysis quite well. A further exploration might make use of his Acoustic and Visual Space probe, Cavell’s basis for McLuhanistic spatial enquiry in his book McLuhan in Space (2002) would be a good starting point for such work, since it applies McLuhanism to the media of time and space, thus a good start for work on the presence of virtual objects. Media analysts occupied with screen design might wish to extend Bolter and Grusin’s (1999) work on remediation to the emergent Mobile AR technology, perhaps from an explicit digital gaming perspective. Those with interest in advertising or business as applied to Augmented Reality would do well to continue Benjaminian thought to its logical end: manipulating a virtual object to hold added-value for commercial enterprise. Those with a more creative bent might enjoy a study of the public perception of AR artworks using Benjamin also. There is scope for research into AR-based social interactions; gaming styles; immersion and identity formation, but this sort of work necessitates that first Mobile AR spends at least some time in public consciousness. Finally, I believe that I have convincingly laid out an argument showing that AR is currently being developed and packaged as an entertainment technology, but its potential for community-driven, self-proliferating excitement of user-created content makes AR a significant and culturally-transformative technology. Convergence between media types will enable and drive the creation of innovative content which if successful will itself rely on new ways of accessing and viewing content and ultimately new forms of content and user experience entirely. We are at the crest of a wave. Will it wither and let a larger wave pass above it, or will it grow to reach tidal proportions? Despite my predictions, only time will tell. AR technology grants virtual objects presence in physicality. This is a concept ripe with potential for academic study. Baudrillardian thought states that we would seek to assign these objects similar values to other, real world objects. The School of Economy offers the truth that scarcity creates value. Our physical, tangible world is finite, but The Virtual is infinite. Now, any object in space denies the opportunity for another object to exist there, however we know this not to be true in an Augmented Reality. I proffer that virtual objects taking up space in a finite world hold economic value, but Benjamin might argue against this view. In this we see that Benjamin equates Aura with immediacy and the uniqueness of the moment of an artefact’s viewing. Since each moment is unique for each of us, it is economically valuable, auratic even. The information age of perfect digital reproduction does not detract from the personal uniqueness of experiential reality, only diminishes the aura offered by certain mass-produced elements within it. In Benjamin’s time, art was sanctified and extremely auratic. Now, most view classical art as a digital copy or encyclopaedia reference, which embodies little of the aura of the original piece. Travelling to the Louvre offers only the added auratic experience not gained from a home computer, where one’s experience is more like anybody else’s experience of the subject, but visitors must get very close to a works in order to experience what Aura remains there. Benjamin might say that in a world of perfect digital reproduction, virtual objects can have no Aura. The Magic Lens is not spiritually void, however, and my Reality 2.0 is not a stagnant place. It buzzes with an aura of its own, borne from the uniqueness of each interaction, live and in context. A virtual object can be duplicated infinitely, but its location in space and the immediacy of its presence in that moment that helps shape its unique meaning for every AR denizen. Physicality offers the backdrop to the unique experiences offered by virtuality, indeed, experiential reality is improved through the wider opportunity for unique moments. Returning to the economics of virtual space, virtual objects cannot hold currency in and of themselves, but the context surrounding them has value. Advertisers could exploit this if they act fast in commercialising AR space. More interesting to me is the potential for unique virtual art objects and sculptures that could hold purely aesthetic value. In this case, interested parties would seek out the object and view its intricacies and movements in the space it was designed to fill. There is much room for spatial enquiry in this field, some of which I will come onto in my next section.